The SC Series marks our commitment to the growing outboard market, a commitment borne from the possibilities of intelligent design. 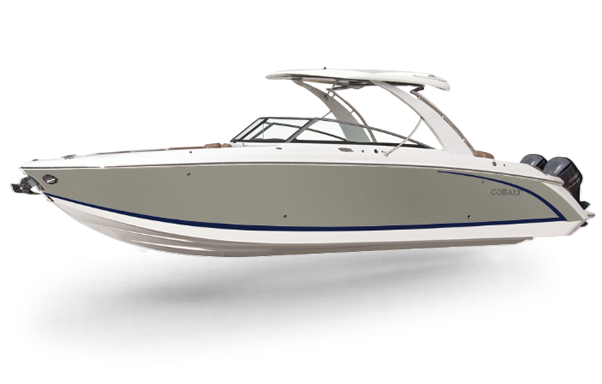 Our goal with the SC Series is to develop boats that have been redrawn, reoriented and re-weighted to add convenience, economy and quiet to the traditional Cobalt virtues of performance, handling, comfort and luxury. 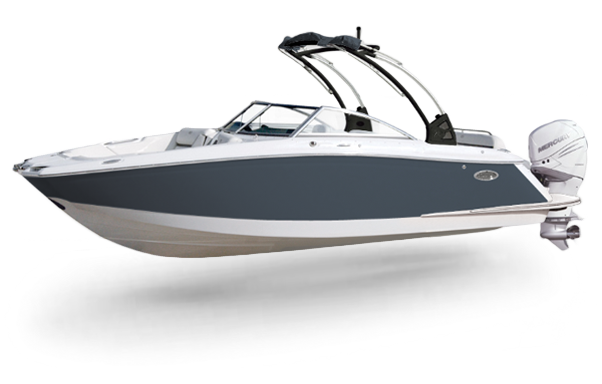 For the SC Series, a brand new engine was designed to be exceptionally quiet and smooth, no matter the conditions. With the integration of high output engines, you don’t have to compromise the performance you have come to expect from a Cobalt. 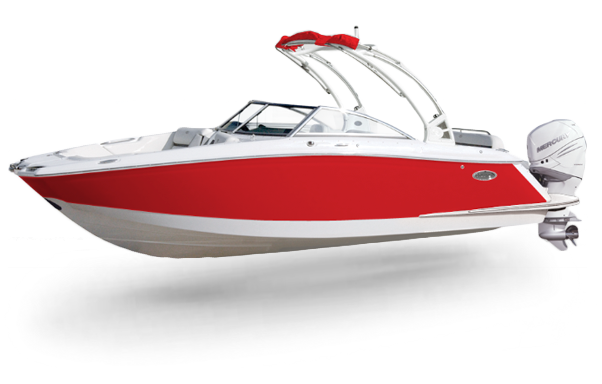 Now you get salt water durability accompanied by quick to plane efficiency, aggressive turns and that legendary ride. 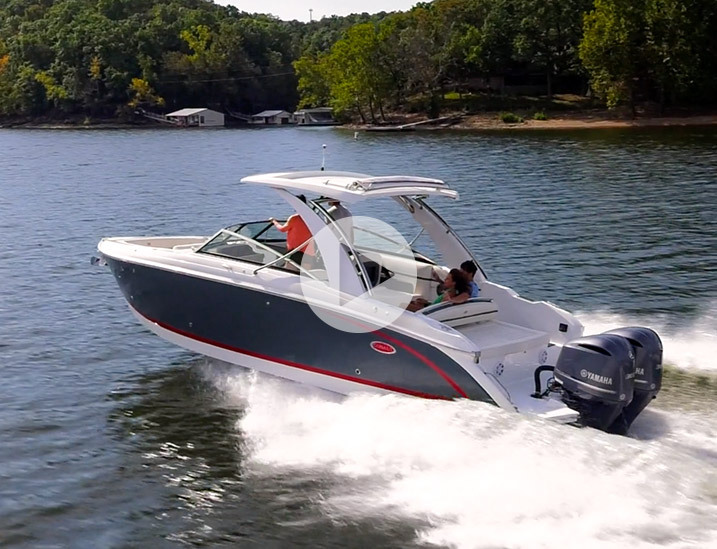 The SC Series sets the standard for the luxury outboard market. Like our other Cobalt models, first-class luxury, convenience and versatility come standard. With the SC Series, the baseball-stitched interior and plush seating arrangements are complemented by the next step forward in luxury: technology. The SC Series is equipped with a six-speaker JL Audio sound system with Bluetooth capability. It’s the ideal combination of classic and contemporary luxury for the entire family. The SC Series features a helm complete with everything you need, and nothing you don’t. Start with refinement, including a black leather / SS steering wheel, a baseball-stitched eyebrow, stainless steel switches and color-matched aluminum dash panels. 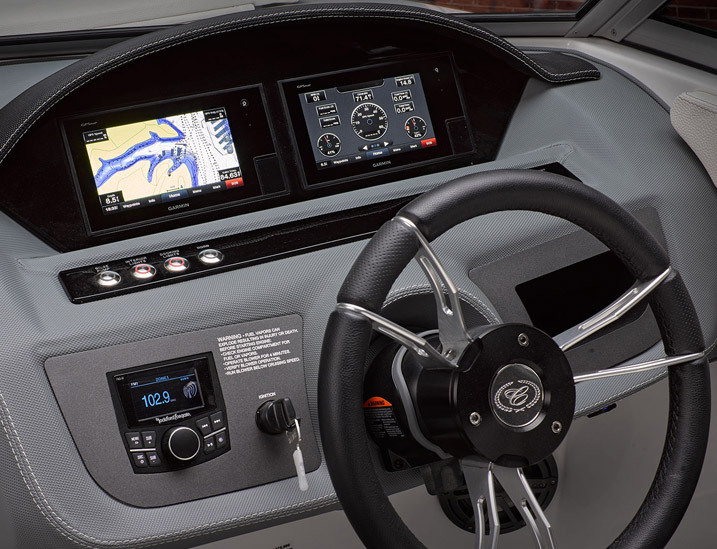 These touches of class are complemented by the precision of controls, featuring a dual Garmin 7607 glass cockpit including standard GPS, a depth & water / air temperature gauge package and an hour meter – all housed in a gloss black dash console complete with SS accents. We channeled the power of high-horsepower engines to an economical, efficient, traditional stern drive. 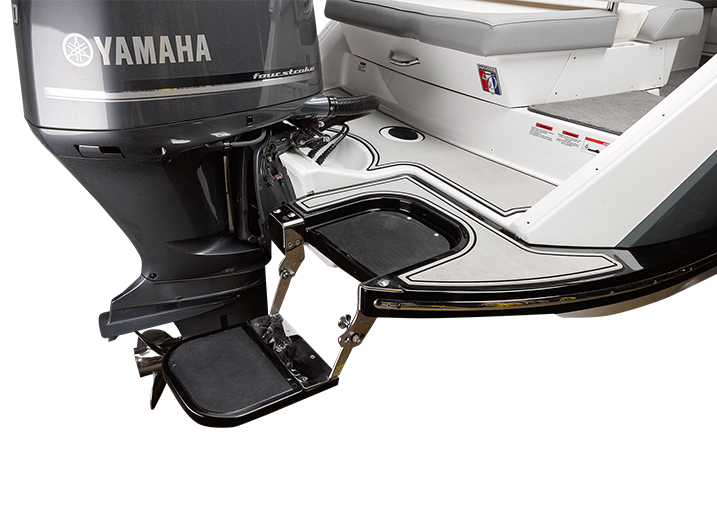 Plus, our exclusive new Swim Step still allows for easy entry and exit from the water, even with an outboard engine. We took the best of Cobalt and applied it to the SC Outboard Series of boats, redrawn to add quiet performance with increased convenience and economy. 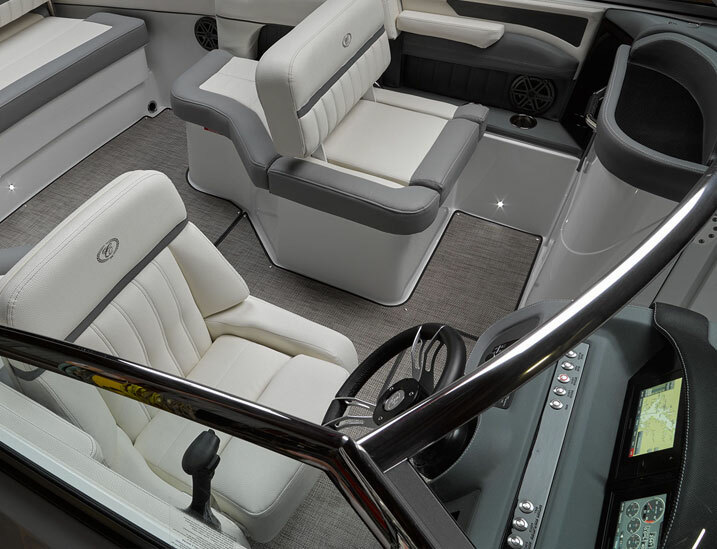 Plus, the durability and handling expected from a Cobalt remains, thanks to an all-composite transom, a fiberglass stringer system and cockpit liner deck, a Kevlar® reinforced hull and solid stainless steel windshield braces. 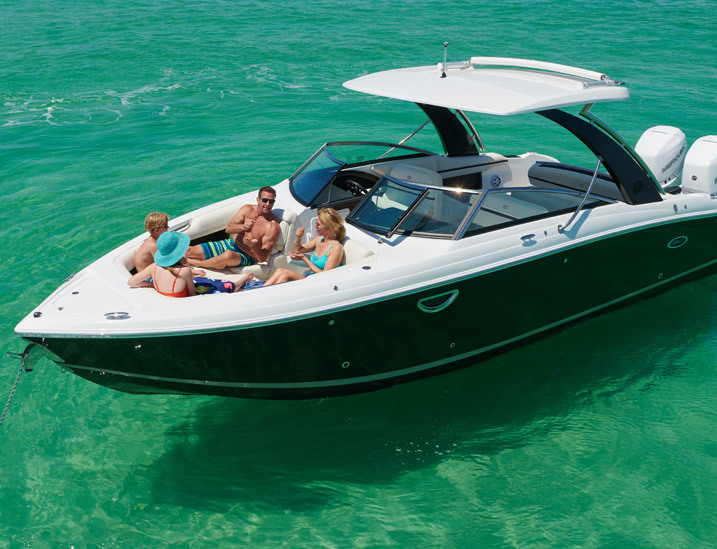 Contoured for accessibility, the SC Series has a wide bow shape, which is perfect for up-front seating, and even includes an entry ladder for easy entry into the water or onto the beach.